Before she was the Queen of Luna, she was just a princess, the forgotten daughter who would never be queen, and would go down in history as nobody. Lost and lonely, she was just a young girl, hopelessly in love with a soldier, smart and with a terrible secret. This is how she became the Evil Queen. The bridge between Cress and Winter, Fairest is another novel in Marissa Meyer’s Lunar Chronicles series. 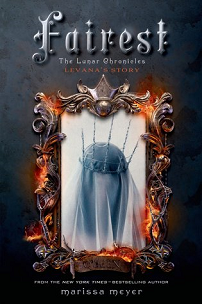 January 27, 2015, by Feiwel & Friends, this story tells the tale of Queen Levana, the monstrous vindictive Evil Queen of Luna. 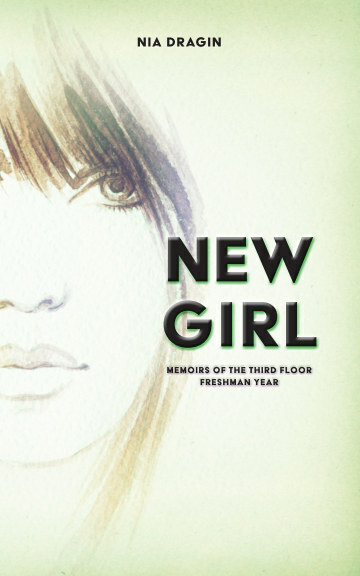 But her story builds her character and the world where she came from giving readers a fascinating look at who she was before she became how readers know her. The opening page is one of the best moments of the novel because it not only hooks the reader in with imagery but the detail comes out of nowhere. The readers have no idea what the dream signifies, if it is an omen or just a dream, but it is powerful image and hits and what scares Levana. It also introduces the relationship with the character has with her sister who is just there in the background with an ominous tone surrounding her. Their dynamic is harsh, it’s cold and cruel, and it inspires pity for Levana, the entire novel does even though she does things that are wrong, plain and simple. She’s a very flawed character but her flaws are based on her emotions, on her desires and sadness, and that is what makes her such a well-written character. Meyers ability to construct this character and to change the readers previous emotions of her are amazing. No one has to like her character but, with this novel, there is an understanding of where she came from to make the reader pity her, not just hate her. The story functions as one whole story, that is to say that there are no chapter separators, it just flows at a quick pace and with the lack of chapter segments, it keeps the reader drawn in. There are very few places to pause the story, but it works without sounding monotonous to the reader. The tempo is smooth and is all about getting this story about, capturing who this character is and drawing her out of the pages and into the mind of the character. It allows the reader to lose themselves in the text. It captures the time and the events perfectly, keeping the story concise without losing the magic. Meyer shows the reader Levana’s environment; she shows us the abuse, using her language to draw the reader in, and again, lose track of time. In the end, her story is one of abuse and heartbreak, and those are concepts people can, at least, relate to if not understand. Levana isn’t just some hungry for power queen, she’s a lonely girl who has suffered so much, and this makes her very familiar to Cinder, the only differences are how they were raised and their environments. Nature vs. Nurture, plain and simple, and the parallel between the two characters is so striking that it makes the reader think about who these characters, which they could have been if situations had turned out different.